What happens if, after being given up for adoption in childhood, you reestablish contact with your biological family,only to discover that your newfound brother is a killer? Anne Bird, the sister of Scott Peterson, knows firsthand. In the late 1990s, after a happy life with the well-adjusted Grady family, Anne came into contact with her biological mother, Jackie, and her family,including Jackie's son Scott Peterson and his wife, Laci. Anne was welcomed into the family and grew close to Scott and especially Laci, joining them on vacations and at family reunions. Anne and Laci became pregnant at roughly the same time, and the two became confidantes. Then, on Christmas Eve 2002, Laci Peterson went missing,and the spirited facade of the Peterson family slowly began to crumble. Anne rushed to the family's aid, only to grow suspicious that her brother knew more than he was telling. By the time Laci's body,and that of her unborn son, Conner were found, Anne was becoming convinced: Her brother Scott Peterson had murdered his wife and unborn child in cold blood. Filled with news-making revelations and intimate glimpses of Scott and Laci, the Peterson family, and the investigation that followed the murder, Blood Brother is a provocative account of one of the most notorious crimes of our time. I mentioned on my previous review post:For Laci by Sharon Rocha that I had read all the books on this case.Well when I realised that I had not read Blood Brother I rushed over and got it on Kindle and quickly read it yesterday.First off I read it in about 3 hours,uninterrupted 3 hours,as I discovered a wonderful restaurant which caters to children where they have babysitters,one for each child,and the children play in a play area,completely safe and happy,with their own pizza cafe where they order what they want on a pizza and it gets made for them.My little one did not look for me once despite me always going over to see if he was ok.Believe it or not,I forgot to take off my house slippers when we left the house (it has a hole in the front)so I didn't do a lot of walking but I did discover that if I kept my foot back a bit the pink socks did not show through the hole. Anyway back to this book.This book is basically the life story of Anne Bird,the second child that Jackie Peterson(Scott's mother) gave up for adoption.Her love for her adoptive parents really shine through her writing and the impression I got was of a well adjusted and confident young woman who was sucked into the Peterson family drama.She remained a firm and strong presence through this turmoil I think from the inner strength she herself has,no doubt cultivated and nurtured by her adoptive parents.I am glad I read this book because it provided glimpses into the Peterson family which I had not had before.Remember that from the very beginning the Peterson family closed ranks and apart from gushing about Scott Peterson's good traits,nothing else was forthcoming. The one part where she discusses Laci Peterson and Jackie Peterson with Scott Peterson(before the disappearance) and Scott's answer is "Those two,yeah" and sighs indicated to me that the realtionship between mother in law and daughter in law was far from perfect.I believe that Laci complained a few times to Scott Peterson about Jackie's treatment of her.Either Laci never mentioned these troubles to her mother Sharon Rocha or Sharon Rocha chose to exclude this from her book.Either way I could have guessed offhand that this relationship was far from idyllic.Mothers who place their "golden boy" sons on pedestals rarely ever meet a woman good enough for their sons. It was disturbing for me that while Laci was still missing that Jackie Peterson was making comments to Anne Bird about why can't Scott meet a nice girl like so and so.That was terrible.I mean I would never in a million years be thinking that I hope a man(whose wife has gone missing)meets someone else soon,not even about a stranger,never mind when it's your pregnant daughter in law who has gone missing.What is wrong with these people? Now to get to the heart of the story where Anne Bird states the 33 reasons why she became convinced of Scott's guilt.Although I am firmly convinced of Scott Peterson's guilt,I found her list of reasons to be quite weak.I think if that was the case we would each of us have put at least one member of our family on death row by now if we followed her guidelines.Let us assume that Scott Peterson was innocent.Anne and Scott went out one evening and she had told him beforehand they had to be back home by 9h30.When it got close to that time she mentioned to Scott that they must leave now.He turned to her and said "Who cares!" and continued drinking.They only eventually got home at 10h30 instead.Apparently this qualified as a reason why she thought he was guilty.Assuming he was innocent,he has now had a chance to go out and drown his sorrows,there is no media hounding him,I,for one,would be too devastated to consider other people's feelings when I am going through what could be one of the worst things to happen to anyone,I would also have said "who cares" and continued drinking. I would recommend reading this book as a supplement to others on this case but not as a first and only book on the Laci Peterson murder.It provides a lot of new information from a different angle but hardly qualifies as in depth if you need to find out the whole story. One more thing,the photographs provided by Anne Bird had a real impact on me because for the first time it brought home to me how normal this couple seemed.It was so disturbing as it made me realise that perfectly happy couples can end up murdering each other.Only her photos had this impact on me despite the many books I have read on this.I have no idea why Anne's list of photos but I am still thinking about them and how they made me feel. What do you think about private adoptions,where the adoptive family sends the biological mother updates and phtographs often?Do you think if you ever adopted a child that you would agree to private adoption where the biological mother remains involved like that? I probably would not, for the sake of the child and the safety or stability of the new family unit. My husband was adopted as a baby in 1954 (in the old days) and he is perfectly content with the way his life was. His mom and dad were good people who raised him in a loving home and that shows in our marriage. He recently discovered that he had 3 half siblings and considered getting to know them. 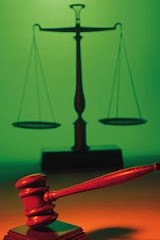 However, he found that they had all run seriously afoul of the law and one was in prison. Now he had no desire to contact them. I had never heard of Anna Bird. How interesting. I also think it would be important for medical/health reasons that the child should know about. Missy Im not too sure of the law in the US but in SA the biological mother has 6 months to change her mind.I think that's terrible if you have adopted a child. Sharon your hubby is one more proof of my nurture theory.I would do exactly what he did.I read a book about a woman who ended up on death row just for the company she was keeping. Laura,that's a good point but what about if you get this long list of illnesses/diseases in teh family,would you still adopt the child? I have a sister who gave her baby up for adoption but decided not to have updates. She is not apart of his life. But has left it where if he wants to find her some day she would be open to it. We have friends and a niece who just adopted a baby 3 weeks ago. Who are doing the open adoption thing. Where photos and information are passed to the birth mother. Seems to have been working for them. This book is ridiculous. I just finished it, it being the first I have read on this case. I am now curious to learn more, as my impression upon reading it is that Anne Bird is a person who has great difficulty talking about issues of substance, I am in no way convinced Peterson is guilty, and her 33 reasons, such as "he flirted with the babysitter" or "he was sarcastic on such and such day" are insane. There was not one single reason she had that either the prosecution or the defense felt would be worthy of putting her on the stand. It's that dumb. The author doesn't seem happy and well-adjusted at all, also. She sure tells you she is, though. Ugh. In writing, you can't hide--and the Fakey Fakey stuff comes right through. What you've got here is a self-righteous person whose life was in no way "destroyed" by these people she was just getting to know. She never even visited the Petersons in their home. I'm a crime buff and have read everything by Anne Rule and don't have a television, all we do is read. I can't believe this book was a bestseller. However now after reading it I will be reading others, because this man may well not have done it. Really sad, but sadder that people like you believe crap like this. I have been anxiously waiting for my first negative comment.In my mind my first negative comment would imply my blog has "arrived" and 6 months later I am HERE.So thank you! 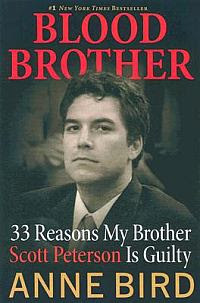 Now to answer your comment:First of all this is the FIRST book you have read on this case and my 7th book and last one to date.You obviously believe in Scott Peterson's innocence obviously derived from news report as this is the only book you have read on the case.This book's list of things that prove Scott Peterson is guilty is ridiculous (as mentioned in my review above).The real stuff is in the other books which I hope you do read (as you promised) and then come back and let me know if you still think he is guilty.THEN you will understand how this Anne Bird is well adjusted compared to the other members of the Peterson family.Only then will we be able to have a decent discussion.The book being ridiculous is your personal opinion again based on not too many facts.Like I said it runs more like an autobiography which means that neither you or me can ever know for sure if it is based on facts.Thank goodness we all have our views and we can agree to disagree.Anne Bird decided to get on the gravy train like everyone else and who can blame her.Come back soon!!! BTW I have also read all of Ann Rule's book and many other too as you can see.I consider myself a crime buff as well and am very happy to meet another avid TC book reader. Woo Hoo Yvette... You have arrived. I love that you enjoyed your first slam of a review you'd done. Very nice reply, with very valid points by the way. Keep up the good work. I am a big fan of yours. I really like the title of this book. However, from your review, it doesn't sound like I would enjoy it. Thanks for the review! ANN BIRD IS A BRILLANT WRITER.. I COULD'NT PUT THE BOOK DOWN. OUT OF THE SCOTT PETERSON TRIAL THIS WAS SO FAR THE BEST BOOK.. AMBER FREY'S BOOK WAS TERRIBLE (YOU COULD TELL IT WAS WRITTEN BY A DITSY BLONDE)AND NOT AT ALL INFORMATIVE LIKE ANN BIRD'S BOOK. I THINK ANN BIRD FOUND HER CALLING AS A WRITER! THANK GOD THERE ARE SOME HONEST AND DECENT PEOPLE IN THIS WORLD. GOD BLESS YOU ANN BIRD! !